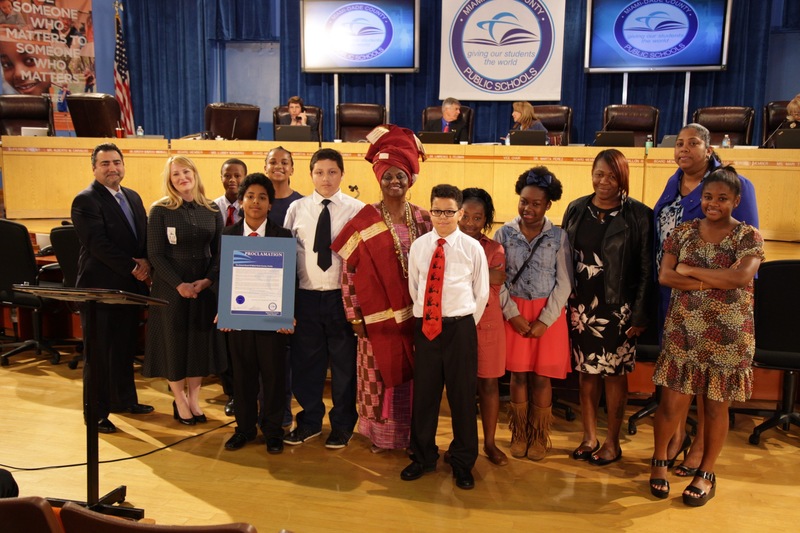 School Board Member Dr. Dorothy Bendross-Mindingall (D-2) was honored to recognize Greenspoon Marder Law Firm for their support and commitment to improving the lives of our students at Liberty City Elementary School at the January 25th School Board Meeting. Thanks to Principal Dr. Orna Campbell, administration, teachers, staff, and parents for educating our precious students. Go Lions! Posted on January 25, 2017 by District 2 MDCPSPosted in MDCPSTagged #GreenspoonMarder #LibertyCity #MiamiSchools #MDCPS #District2WorkingForYou #EducationIsTheKey #EveryChildMatters #SeeYouOnTheJourney.